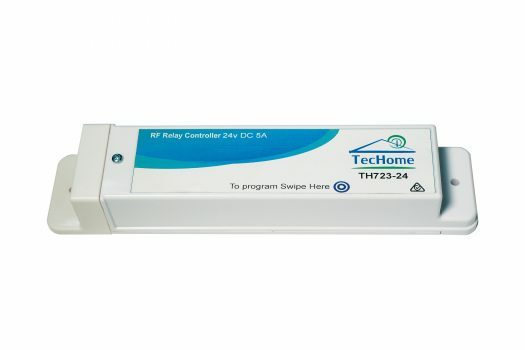 The TecHome TH723 is perfect to tap into your electric gate or garage door opening system for wireless control. The TH723 can be integrated in TecHome’s “The Hub” bluetooth controller, allowing control via The Hub smartphone App. Additionally, you can pair up to 15 of TecHome’s range of remotes and key fobs.